Why do we need protein? 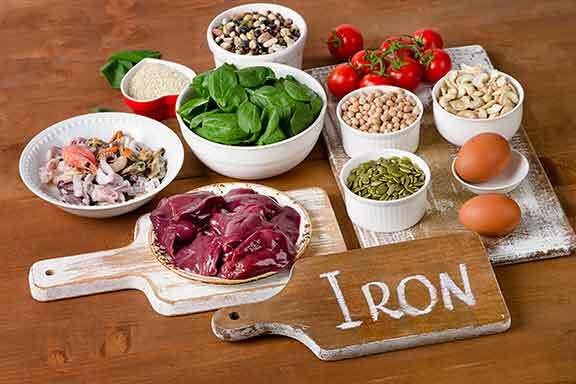 How much iron should you consume? Learn about the health benefits of nutrients in the Dr. MacLeod’s products. Iron is a mineral that helps to transport oxygen in our body. Iron is also important for producing energy and oxygen storage in our muscles. The best source of iron is animal- based foods especially red meats and offal. Leafy green vegetables such as spinach, lentils, beans and seeds are also good sources of iron. Zinc is essential to support our immune system, and plays a role in our ability to taste, smell and see clearly. It is also a key ingredient for beautiful, acne-free skin. 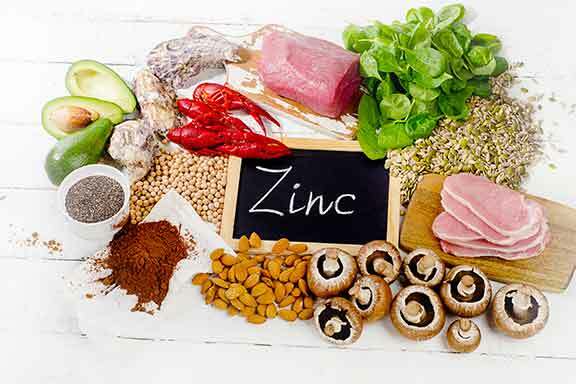 The best sources of zinc are lean meats, fish and seafood, dairy, nuts, grains and eggs. 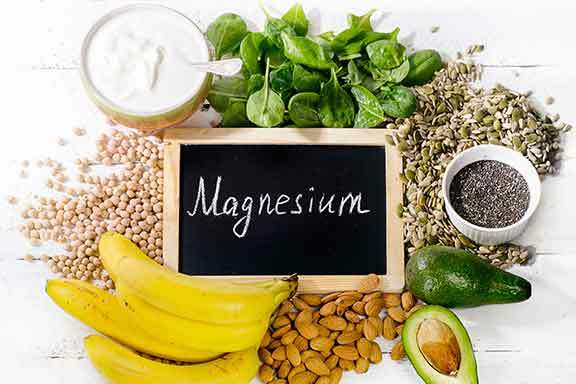 Vital for the healthy functioning of more than 300 enzyme systems magnesium is involved in both aerobic and anaerobic energy metabolism and is required for the metabolism of calcium. Leafy green vegetables, legumes, nuts, shellfish and some spices are excellent sources. Calcium is a mineral that is vitally important for strong bones and teeth. Calcium also helps to regulate muscle and heart function. 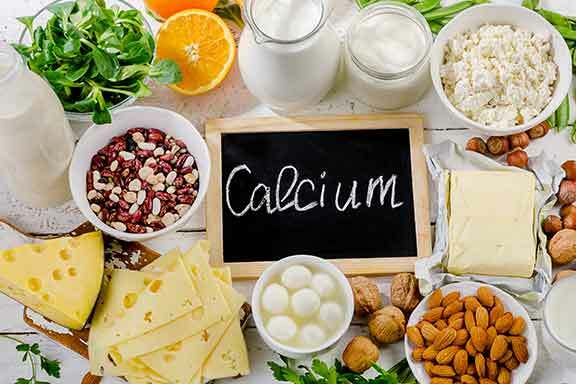 The calcium needs of people differs according to their stage of life – with young children, older women and teenagers needing greater than average requirements. Good sources of calcium include dairy foods. We all know that taking Vitamin C will help a head cold as it fights infection, but did you know it is also good for our bones, teeth and gums? 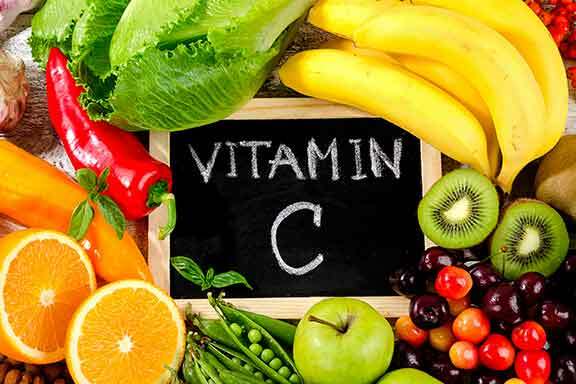 Vitamin C is essential to the health of our skin, bones and connective tissue, it helps in wound healing and the process of absorbing iron from food. Vitamin C is found in fruits and vegetables including citrus fruits and berries. Vitamin D assists the body to absorb calcium through the small intestine which is of course essential for strong bones and teeth. 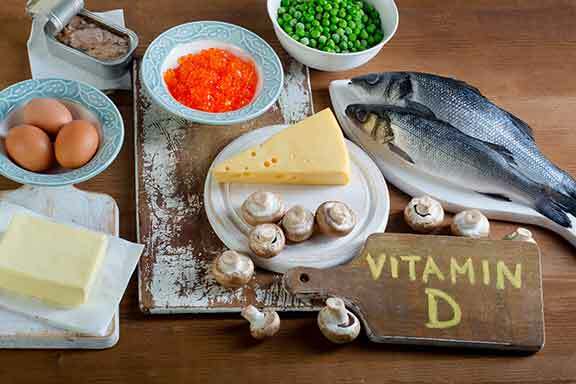 Vitamin D forms in our skin when it is exposed to sunlight (ultraviolet b) – and this is how most Australians get their vitamin D.
Foods that contain vitamin D include fatty fish such as salmon, herrings and mackerel, eggs, liver and some milk products. Vitamin E is the collective name of a group of powerful antioxidants that work to counteract potential damage from free-radicals (by-products of energy metabolism). 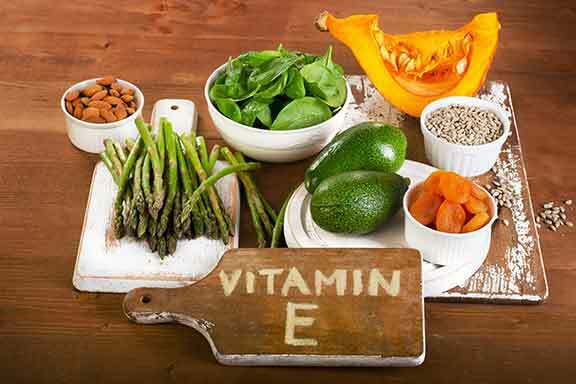 Vitamin E has a number of important functions including helping to protect cell membranes, improving cognitive function and arming the body against diseases. Efficient E is a naturally occurring vitamin, found in nuts, almonds especially, some fish and meats and leafy green vegetables such as spinach. 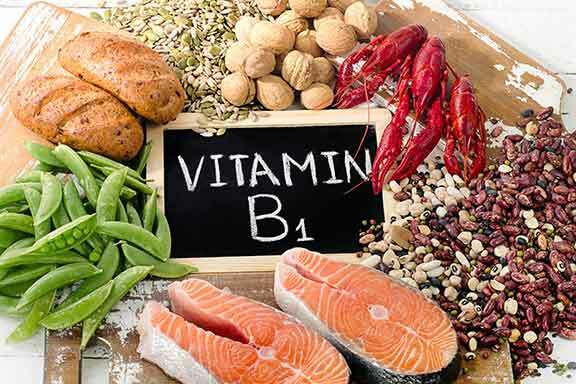 Vitamin B1 is also known as Thiamine and is one of the eight B-group Vitamins. It helps to convert glucose into energy and also has a role in healthy nerve function. Good sources of thiamine include wholemeal cereal grains, nuts, seeds (especially sesame seeds), legumes, wheatgerm, yeast and pork. 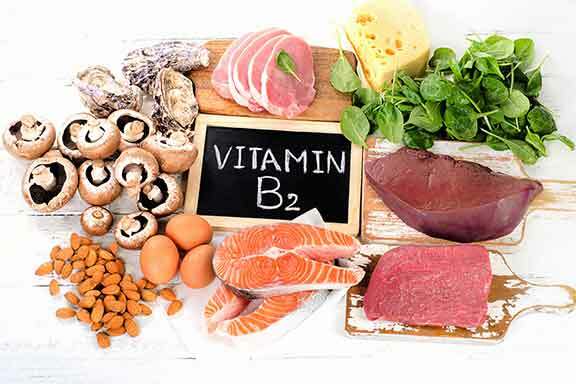 Vitamin B2 is also known as Riboflavin and is one of the eight B- group Vitamins. It is primarily involved in energy production and the regeneration of body tissues including skin, hair, nails, connective tissue and immune system. Good sources include liver, kidney, leafy green vegetables, egg white and meat. 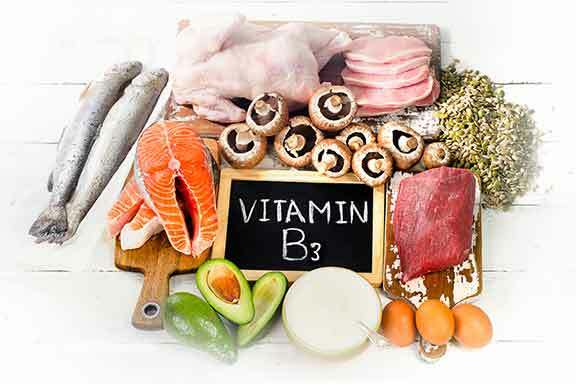 Vitamin B3 is also known as Niac in and is one of the eight B-group Vitamins. It is essential for the body to maintain healthy skin, support the nervous and digestive systems and metabolise carbohydrates, fat and alcohol to produce energy. Niacin is found in a wide range of foods including all protein containing foods, beef, pork, wholegrain cereals, mushrooms, eggs and cow’s milk. Vitamin B6 is one of the eight B- group Vitamins. It is required for the metabolism of carbohydrates and protein, the formation of red blood cells and certain brain chemicals. 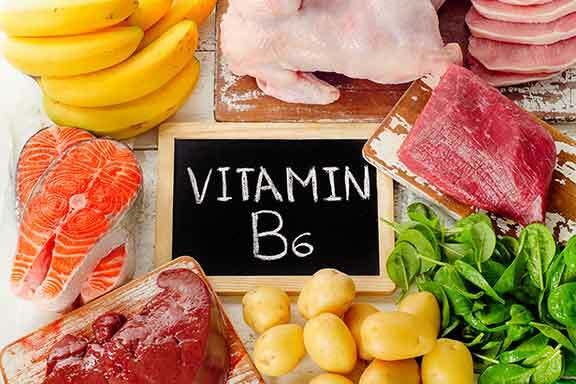 Vitamin B6 is found in meat and poultry, fish, liver, fruit and grains. This mighty water-soluble vitamin, aids in the formation of red blood cells and it’s important for metabolism. Vitamin B12 is also essential for maintaining a healthy nervous system. Vitamin B12 and folate are essential to each other to each work properly. 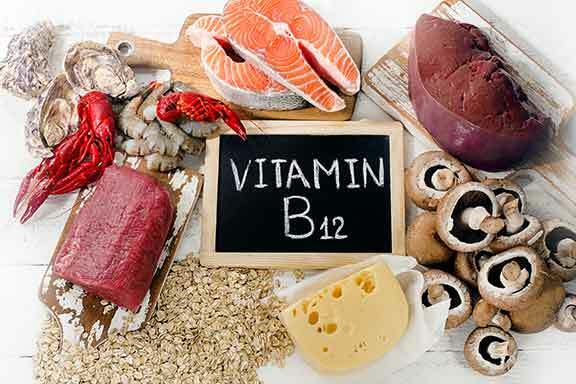 Foods rich in Vitamin B12 include liver, fish, seafood, meat and eggs. Protein is a macronutrient. Proteins occur in all living cells and are comprised of small units called amino acids. There are 20 amino acids that can be assembled in different sequences and lengths to make different proteins. The body breaks down proteins during digestion to release the amino acids which are then used as building blocks for body tissues and vital body substances such as enzymes and hormones. 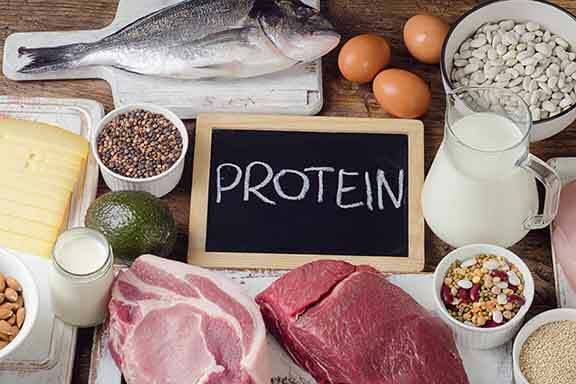 Eating sufficient protein and a variety of protein is important to ensure your body gets enough amino acids required to produce vital body proteins.Good sources of protein include lean meat, poultry, fish, dairy products,eggs, beans and legumes. 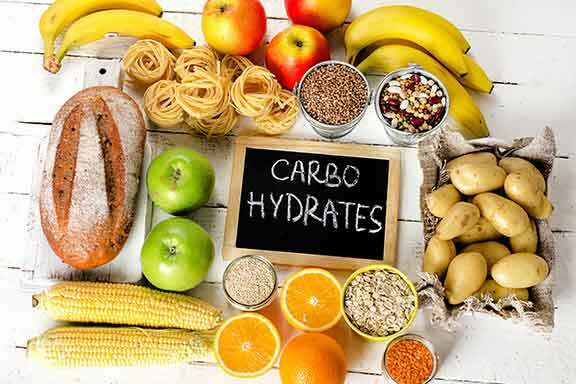 Carbohydrates are macronutrients digested by the body and converted to glucose which is then either used as body fuel or is stored in the liver and muscles as glycogen. There are three main types of carbohydrates. Starches are also referred to as complex carbohydrates and are found in starchy foods such as bread, potatoes and beans. Fibre – the indigestible part of plant foods. Carbohydrate rich foods include potatoes, pasta, rice, noodles, fruit, bread, beans, cereals and more.